This post is sponsored by PetInsuranceQuotes.com. Pawsitively Pets only shares information we feel is relevant to our readers. All opinions expressed here are our own. 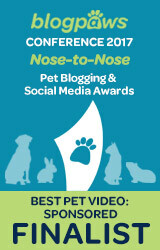 PetInsuranceQuotes.com is not responsible for the content of this article. Pet insurance is health insurance for your pet. If they suddenly become sick or injured, it can help with veterinary bills. Emergency care for pets is usually not cheap, and the bills that come with it can be quite a burden on your wallet. Accident Only Policies - These plans are cheaper than others, but will only cover vet bills that are related to accidents. Accidents might include things like getting hit by a car, stepping on something sharp and needing stitches, etc. They do not cover sudden illnesses, which are actually more likely to occur than an accident. Accident & Illness Policies - These plans will cover both accidents and illnesses. It will cover everything except for routine care, such as wellness exams. However, pet insurance does not cover pre-existing conditions. Routine Care Policies - You can add these plans to other policies. They will cover the cost of annual visits, spaying and neutering, and vaccinations. 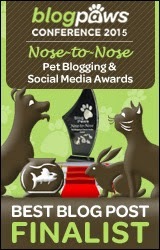 For more good information about choosing a pet insurance plan, PetInsuranceQuotes.com has a helpful guide here. Customer reviews - Do some online research and find out what people are saying about pet insurance companies. Reading online reviews is a good way to look at customer feedback. Ask your friends - Do you have friends with pets? Ask them which pet insurance company they use and how they like it. Ask your vet - Your veterinarian will likely have some pet insurance company recommendations too. Does the company meet your needs? - You need to do your own research as well and find out if the pet insurance company offers the type of pet insurance plan you are looking for. You will also need to find something within your budget. Get a quote - There is an online tool called PetInsuranceQuotes.com that you can use to get free pet insurance quotes from several different pet insurance companies. You can find this tool here. There are a total of 12 pet insurance companies in the US. You can find a list of them all with rankings here. I wanted to share this helpful tool with everyone because it makes things so much easier. You visit the website and input some basic information about your pet. 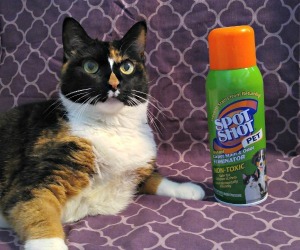 I used it with my pets to try it out personally. After inputting my cat's information, I received recommendations from 3 of the top pet insurance companies. I click "see my quote" and am then taken to the pet insurance company's website to review the prices and plans available. It makes it easy to compare. You will receive the quotes in your email and can also view them directly from the pet insurance company's website. If you're in the market for pet insurance, I recommend giving PetInsuranceQuotes.com a try along with perusing the other advice listed above. Have you ever purchased pet insurance for your pet? 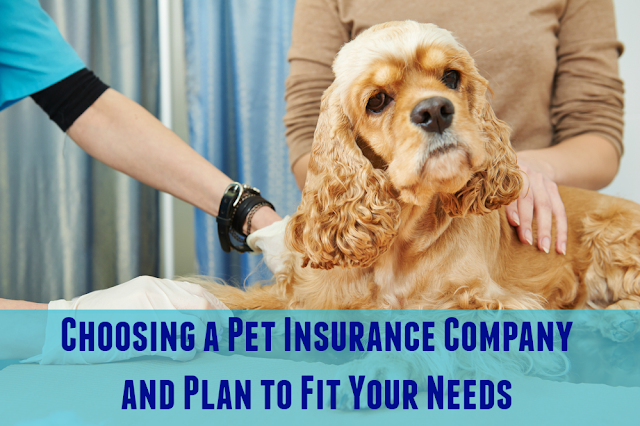 How did you choose a pet insurance plan and company? Share with us in the comments! Helpful and informative post for sure. We have had Trupanion Pet Insurance for approx 4 or so years and couldn't be happier. We had to put in a claim for the first time last winter for Cody and they couldn't have been better to work with. They are professional, efficient, communicative, friendly, etc. I am completely and thoroughly happy with them. Their reps who communicate both on the phone and through email are superb. Thank you for sharing Caren! I think I may remember when Cody was ill. Glad he's got a good insurance when you guys need it. Hey, that is a great website! We are going to check it out...it sounds like it will make choosing the right insurance so much easier. Thanks! I have PetPlan and I like it, I know a lot of my friends have VPI and are very happy with them. We've had insurance for a long time and did comparative shopping online. These guys contacted us, but we already had a plan and are not sure if they show all the companies or not. Sounds like a good plan Emma. They do show all of the companies on the list with ratings and have user reviews, but I am not sure which ones will show up for everyone when they input their information for quotes. I am guessing that it is only the top rated ones or the ones with the best plans and prices. The screenshot shows which ones showed up for me. Very true, Dolly. It's hard to predict what will happen in the future. But, if you never need to use it I guess that's a good thing too. I've never purchased pet insurance. It really depends on the situation. Sometimes it's better for people to create a fund for their pet that they save money to each month instead of spending that money on insurance. Since pet insurance doesn't cover any pre-existing conditions and often rules out senior pets, it simply isn't a fit for our situation. If I adopt a young cat again someday, I will likely revisit the idea of getting insurance for him/her. Yes, it is definitely not good for pre-existing conditions. I wonder if the accident only insurance would be a good option for older pets who already have health issues. That way you at least might be covered for those. One vet I worked for used to recommend a savings fund like you mentioned. This is actually the tool I used when I started looking for pet insurance! It was very helpful as a general guide and then I went to the individual sites of companies I was most interested in. I'm glad we have pet insurance, but I hope we never have to use it! Interesting how the same three insurance companies were chosen for Truffle and Brulee as for you. I've had Trupanion for 6 years and have had wonderful service from them. I can set the amount of deductible I want to pay and the percentage of the costs. I receive my reimbursements within 2 weeks of less.